For writer and performer Aanisa Vylet, the motivation to write her first play came from a desire to see convincing Arab and Muslim women characters on our stages and screens. Her two-part work The Girl/The Woman, which will play together for the first time at Riverside Theatres from June 28, is fuelled by Vylet’s experience as an actor and the need for deeper and more researched depictions of the women of her community in the arts. “Working as an actor, I never experienced stories like the ones I felt I had inside me,” says Vylet, who grew up and still lives in Bankstown. For example, in a recent casting call, Vylet was asked to audition for the role of a “sexually confident” Arab-Muslim woman. Semi-autobiographical in terms of content, The Girl/The Woman focus on two generations of Australian Arab-Muslim women, a mother and her daughter. 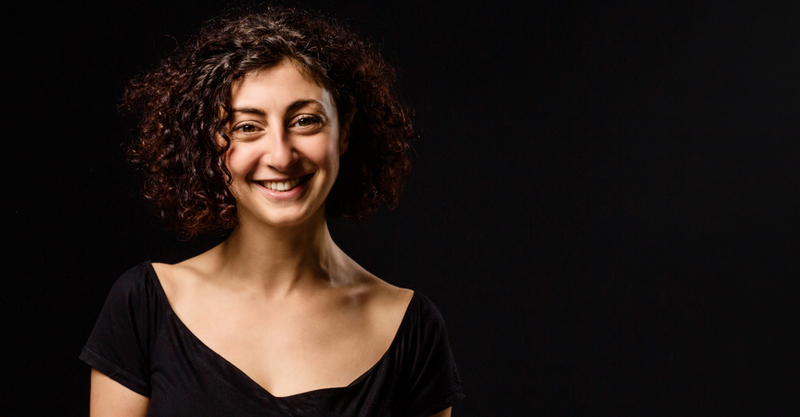 “In the creation of this work I’ve had to face up to the role I’ve given myself as a female writer and as an Arab-Muslim woman growing up in Western Sydney making her own choices,” Vylet explains. “I’ve been working on this for about 12 years now, which is a long time, but I needed that time to listen to myself and keep digging deeper and deeper. The Girl, which focuses on a young woman’s discovery of self, first played at the Adelaide Fringe Festival and Perth Fringe World Festival in 2016. It’s a comedy, but it has a sting in the tail. “For some people its uncomfortable because I’m saying the things they tell their daughters not to,” Vylet says. The partner piece, The Woman, will be a world premiere, directed by Dino Dimitriadis for Riverside’s National Theatre of Parramatta. Vylet cites Caryl Churchill’s masterpiece Top Girls (“so theatrical and so political”) and the plays of Melbourne writers Patricia Cornelius and Jenny Kemp as among her influences. But more important to her as a writer is her background in physical performance. Vylet says she’s also drawing inspiration from the increase in the number of women playwrights and plays featuring female protagonists on our stages.